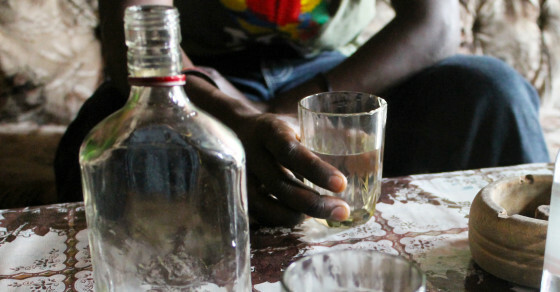 MASINDI – Police in Masindi district are holding a father and her daughter over alleged child negligence that led to the death of three-year-old Sarah Atulinde after she consumed a lot of alcohol in Kyakaitera village, Bwijanga Sub County in Masindi district. The suspects were arrested on Thursday after a tip-off by area residents who discovered the death of Atulinda while the parents and siblings were in the garden. The father allegedly left the girl asleep in the house where he had kept his liquor. It is alleged Atulinda, after waking up, drank the liquor to a state of unconsciousness. Mr Michael Onencan, the deceased’s relative, said they went to their garden and left the child at home but they later received information that the child had taken alcohol from the house. “As we were in the garden, we received information through our neighbours that the child was drunk and rushed her to Masindi main hospital for treatment and she later died at 10 am,” Onencan said. Masindi district police Community Liaisons Officer Peter Mukasa said the suspects are detained at Masindi central police station as investigations into the matter go on. “We have arrested the parents of negligence leading to a person’s death and they are detained at Masindi police station’ Mukasa said. Mukasa warned bar operators and parents against keeping alcohol and its used containers where they can be accessed by children.